You spent the day driving up the Ceilidh Trail. The wind-battered coast played hide-and-seek along the winding road. You stopped in a small fishing village. It’s home to a church from 1897, a general-store-turned-regional-museum, and a lively pub owned by a family of musicians. You headed farther inland. The road cut through dairy farms with the Creignish Hills in the background. Then you found a distillery. Drams of single malt whisky—aged for 10, 14, and 19 years—were poured straight from the cask during a tour. This is the Scottish trip about which you’ve always dreamed. Except you’re not in Scotland. You’re actually at the first single malt distillery in North America. 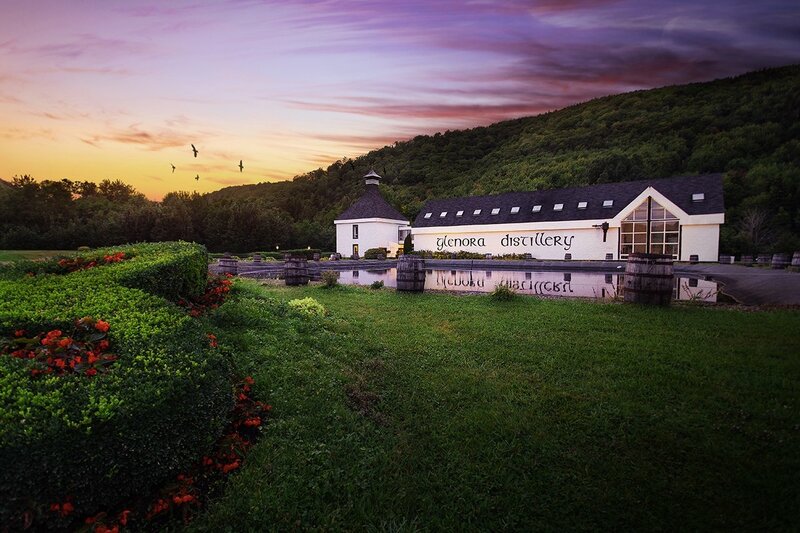 Glenora Distillery was established in 1989. It sits on 200 acres outside of Mabou on Cape Breton Island. It produces whisky using clean, pure water from MacLellan’s Brook that runs through the property, barley from a nearby malting company, yeast, and American oak barrels. It’s the same recipe the Scots use, except local ingredients are substituted. The connection isn’t surprising. Both the county, Inverness, and the province, Nova Scotia, are named after Scotland. Scots, mainly farmers and fishermen, settled New Scotland across the Atlantic Ocean in the 18th century. Scottish culture—from language to music to whisky—continue to thrive in Canada today. So let’s enjoy more of that Canadian-Scottish hospitality. 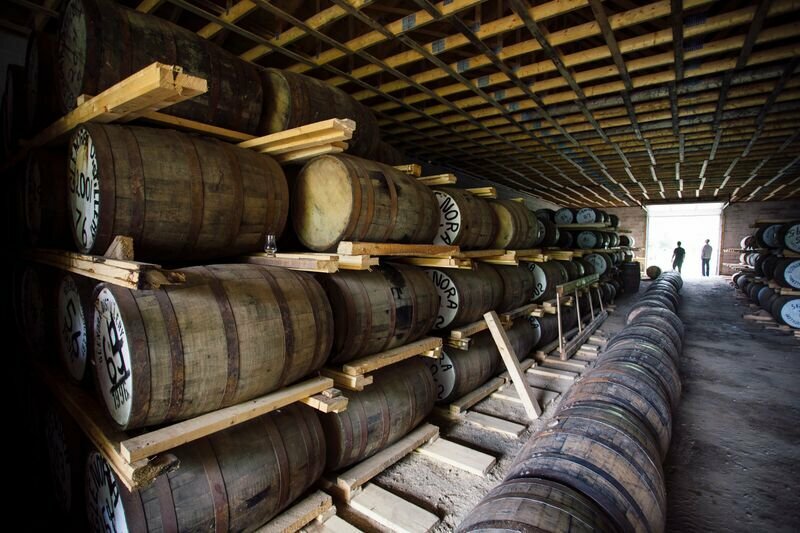 After touring the distillery’s aging warehouse, bottling facility, and tasting room, it’s time to check out your room. Yes, you get to stay right on the property tonight. The Glenora Inn features both rooms and chalets. The classic log chalets sit on a hillside overlooking the distillery, while the more modern rooms face a flower-filled courtyard. A three-course dinner and Canadian wines are served in the main dining room. It, unsurprisingly, features a lot of seafood. You start with a creamy seafood chowder with big chunks of haddock, clams, and scallops. It’s harder to select your entrée, though. Linguine allo scoglio—lobster, scallops, and shrimp in a tomato-tarragon cream sauce—is the first dish that catches your eye. But the Glenora chicken supreme is grilled with maple and Glen Breton whisky. Since the chicken is cooked with the distillery’s own whisky, this is one of the few times that seafood doesn’t win on an island. After dinner, you move to the pub for an evening cèilidh and one more glass of whisky. A cèilidh is a traditional Scottish gathering that could feature storytelling, singing, folk music, or dancing. The pianist and the violinist are already warming up when you take a seat at one of the small tables. A glass of Glen Breton Rare 14 Year, your favorite sip from earlier, appears from the bar. The whisky smells like apples and honey, tastes like it has a hint of vanilla, and has a lingering, nutty finish. It’s beautiful and complex—just like Cape Breton Island.